I’m not suggesting this as an alternative to current modes of flight, but this is worth a watch, if only for the sheer bloody maniacal genius that went into it. Records are made to be broken, and a bunch of students at the University of Maryland are smashing the ones they just set earlier this summer. They’re so close to winning the crazy-hard American Helicopter Society’s Igor I. Sikorsky Human-Powered Helicopter competition — watch an amazing eight-foot flight past the jump. Henry Enerson, a freshman at UMD, is one of a handful of pilots taking turns furiously pedaling in the cockpit of the Gamera II, a human-powered quadcopter. The team has already met one major requirement of the Sikorsky Prize this week, hovering for 65 seconds. Now if they can hit one minute and get a little higher than 8 feet — to exactly 3 meters, or 9.8 feet — they’ll win the $250,000 32-year-old prize. The team has been testing all week but had to take a break for a few hours today so the students could go to class. We’re following their progress and we’ll update here if they set any further records — meanwhile, watch Henry’s flight below. Bear in mind that this year’s minimum is still weeks away. 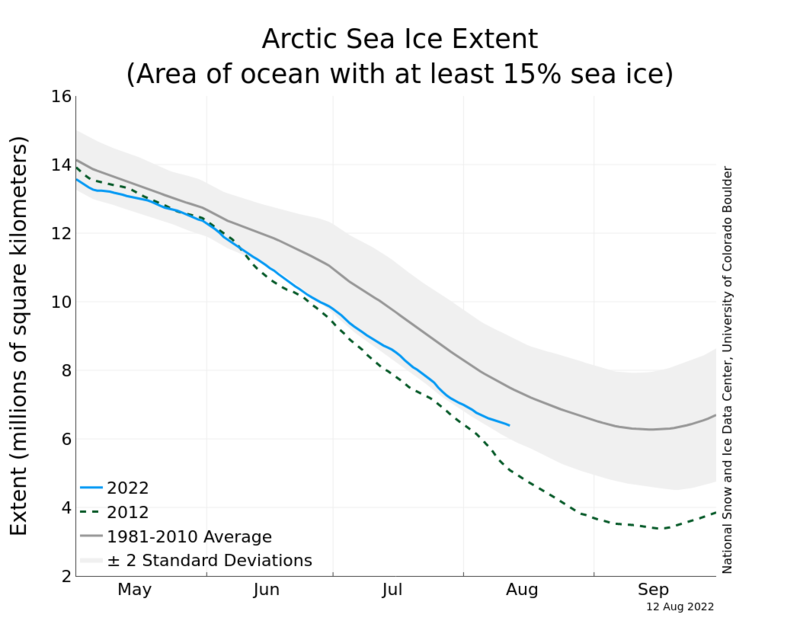 Links to these and other displays at the Arctic Sea Ice Graphs page. “Look! 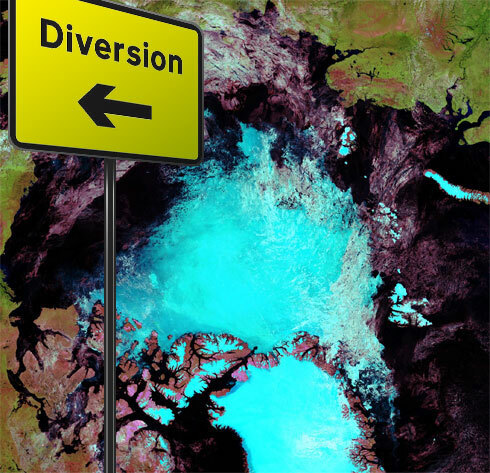 Over There!” – In Face of Record Melt, Deniers Furiously Jingle Shiny Keys…. 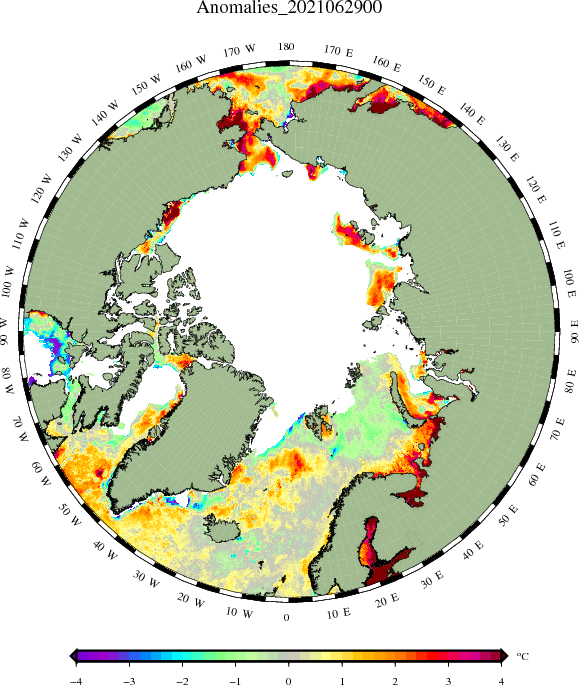 Danske Meteorologiske Institut published a series of annual reports on arctic sea ice covering most years from 1893 to 1956. The link has one folder per year, with each containing individual pages (month identified by the trailing digit) and the whole annual report (about 5 meg each). 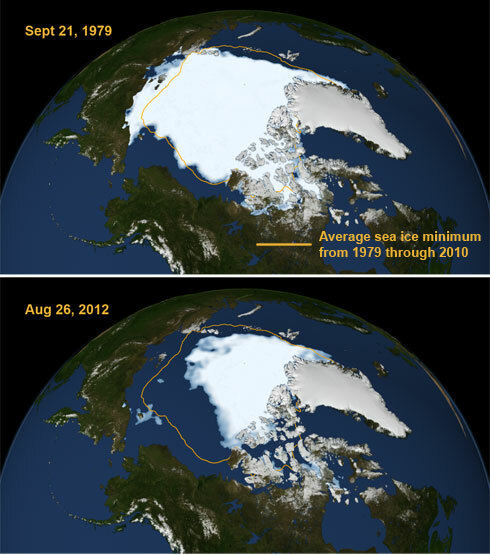 Its true that ice extent was lower in the 1930s than it had been in the preceding 30 years. In particular, 1938 saw a dramatic reduction from the previous years – it was probably 1.4 M km^2 below the then long term average and maybe 0.6 M km^2 below the already low years in the late 30’s (carefully measured using Eyeball, Mk I). So, it is fair to say there were some big melts in the 30’s. But Christy’s false equivalence is an epic fail – “similar melts” is pretty nice weasel-wording for mine. 1.4 M km^2 below recent climatology? Considered like that, 1938 was like 2010, I guess. But in absolute terms, August 1938 extent was much greater (4 M km^2?) than today. So any attempt to conflate the two is…well…I can[‘t think of an adjective suitable for polite company. Taking the Kinnard graphic – the 1930’s “similar melt” is the second last dip on the graph, the first decline with modern observational data. This saw a return to “normal” after a peak that had seen the greatest extents in 500 years. Below, Post Carbon Institute President Debbie Cook debates energy with an energy company front man. How Low it will Go Depends on How Warm it Still is…. As a commenter has pointed out, the sun is low enough now in the Arctic sky that insolation is no longer much of a factor in how much more ice melts. The primary driver at this point is residual heat that has been stored up over the summer, which will be considerable. The temp anomalies image above suggest there is a fair amount of warm water left. Given the events of this summer, Iowa seems like as good a place as any to try this out. If you want to hear more of it, might be good to let him know. And I know that’s a pretty heavy idea to lay on you on a Tuesday. (Laughter.) But it’s true. The decisions we make as a country on big issues like the economy and jobs and taxes and education and energy and war and climate change — all these decisions will directly affect your life in very personal ways. And I’ve got to say, this is something I’m acutely aware of when I make these decisions, because they’re decisions that are going to affect Malia and Sasha, my daughters, as well. Governor Romney wants to pass a new $5 trillion tax cut targeted towards the wealthiest Americans. That’s not going to cut our debt. Ignoring inequality doesn’t make it go away. Denying climate change won’t make it stop. These things won’t make for a brighter future. They won’t make your future stronger.